Defence Bank is a provider of credit cards, home loans, personal loans, savings and transaction accounts, term deposits, superannuation, home insurance, car insurance, barrack room insurance, and travel insurance. 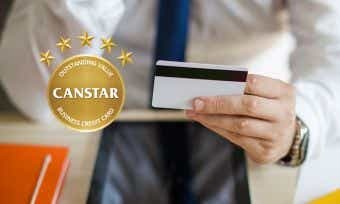 If you’re considering a credit card, check out what’s available below in our comparison table. When it comes to credit cards, Defence Bank has just one available at the moment: the Defence Bank Low Rate True Blue credit card. Defence Bank’s true blue credit card is backed by Visa and gives low rates and low fees, enabling you to control your finances and enjoy your life to the fullest. Applying for a Defence Bank credit card is an easy process. If you meet the criteria above, you can simply click the ‘apply now’ button on their website to begin the process. You can also apply in-store or by calling them on 1800 033 139. How do I activate my Defence Bank credit card? Your Defence Bank credit card will need to be activated before you can use it to make purchases. Defence Bank’s terms and conditions state that they will activate the card for you. If you aren’t sure whether this has occurred for your card, you can call them on 1800 033 139 for more information. Can I manage my Defence Bank credit card online? Defence Bank has both online banking and mobile banking, which you can use to set up alerts, view your balance, view your transaction history, and more. You’ll need to register online for online or mobile banking with Defence Bank. How is interest calculated on my Defence Bank credit card? Interest is charged on purchases when you carry a balance on your Defence Bank credit card. Interest is calculated daily by applying the daily percentage rate to the unpaid daily balance of the account, and is debited to the account on the last day of the statement period. Interest is charged on cash advances from the date the transaction is made. Up to 55 interest-free days apply to Defence Bank’s credit card purchases if you have paid the balance in full for the previous month’s statement and for the current month’s statement. For more information about interest-free days, check out our article on how they work. What will my credit limit be on my Defence Bank credit card? Your credit limit for a Defence Bank credit card will be determined based on the information you provide in your application, keeping in mind the minimum and maximum credit limit for the card (see above). You can ask Defence Bank to increase or decrease your credit limit, and Defence Bank may approve or reject your request based on their lending criteria. Defence Bank reserves the right to reduce your credit limit at any time at their discretion. How do I close my Defence Bank credit card account? You may close your credit card account with Defence Bank at any time by making a written request mailed to their postal address. You must cut the card in half and return it to them along with this request. If you’re cancelling your credit card because you’re struggling financially, contact the financial hardship team by calling 1800 033 139 to find out if there are any potential solutions. Defence Bank started back in 1975 as the Defence Bank Credit Union, before changing its name to Defence Bank in 2012. Initially, Defence Bank only offered financial services to Defence personnel, but it is now open to the public. Now with more than 90,000 members, $1.7 billion in assets, and almost 40 physical branches across the country, Defence Bank can claim to be one of Australia’s largest customer-owned banks. Defence Bank is hard at work in the community, sponsoring major sporting events and community initiatives across the country. For example, it is the only commercial sponsor of the Salvation Army Red Shield Appeal, and it deploys trucks to distribute hot and cold drinks to soldiers on assignment.